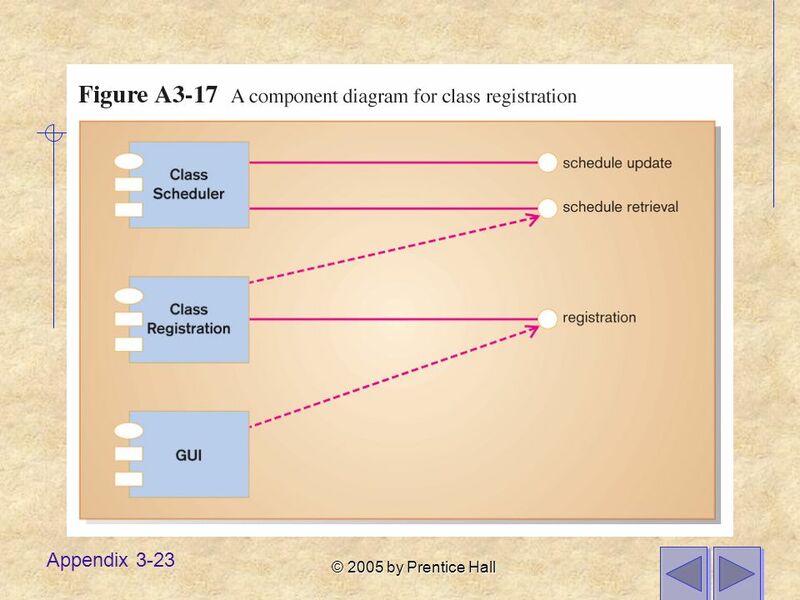 © 2005 by Prentice Hall Appendix 3 Object-Oriented Analysis and Design Modern Systems Analysis and Design Fourth Edition Jeffrey A. Hoffer Joey F. George. 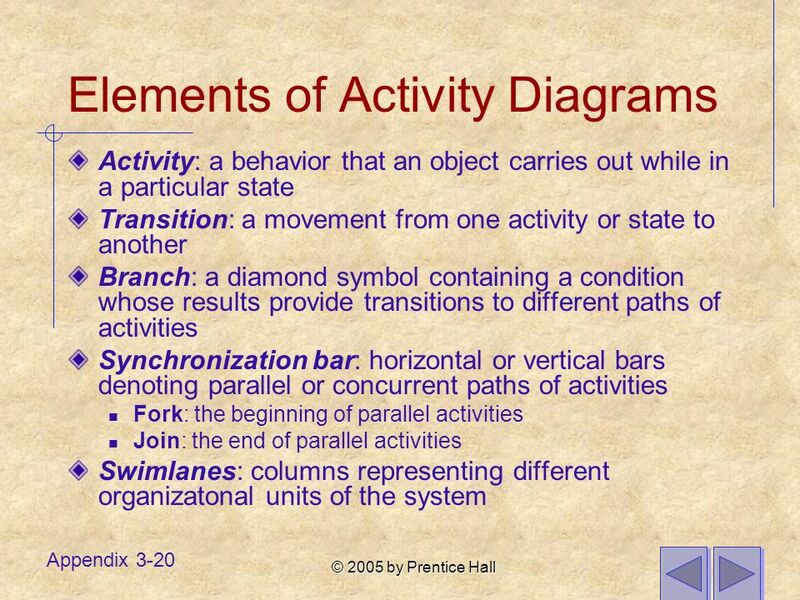 2 © 2005 by Prentice Hall Appendix 3-2 Learning Objectives Define events, state transitions, and sequence diagrams. 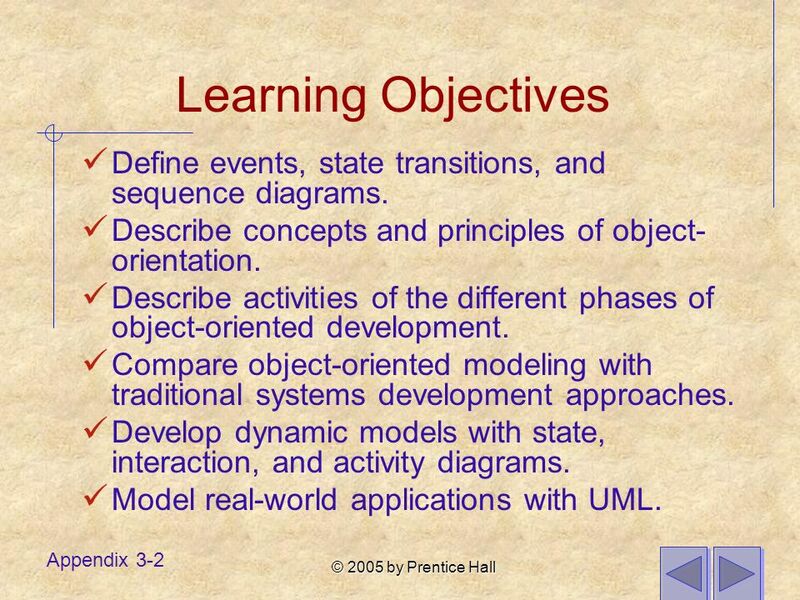 Describe concepts and principles of object- orientation. 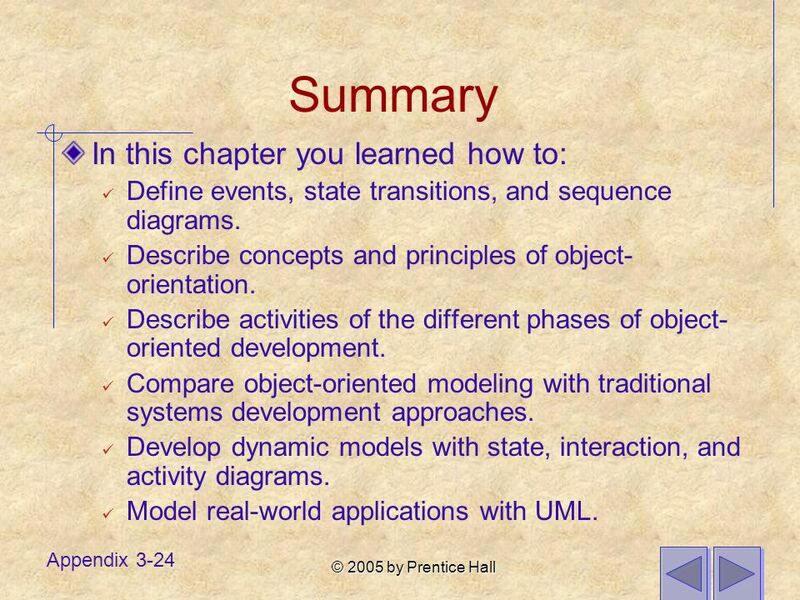 Describe activities of the different phases of object-oriented development. 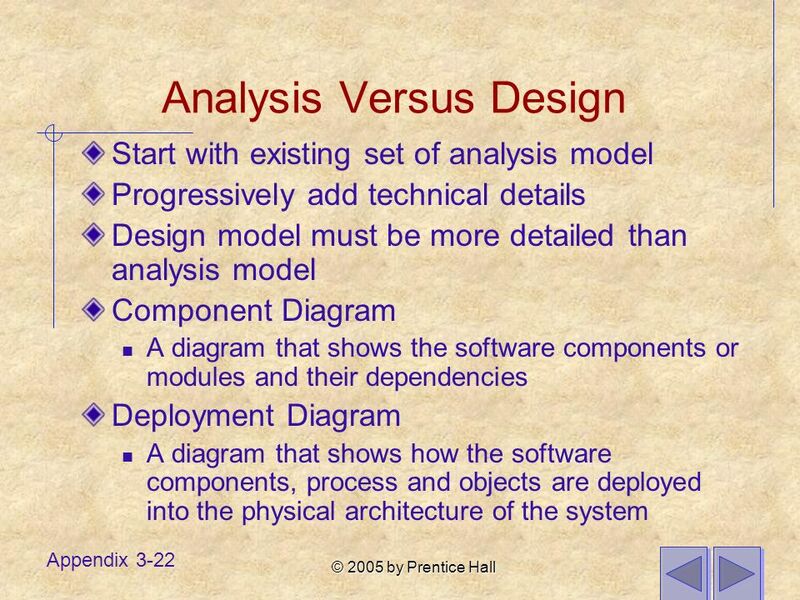 Compare object-oriented modeling with traditional systems development approaches. 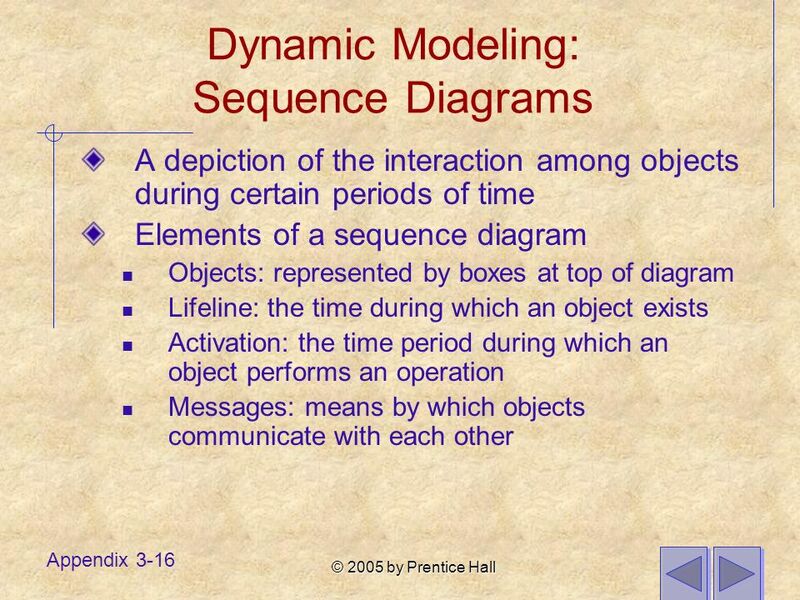 Develop dynamic models with state, interaction, and activity diagrams. 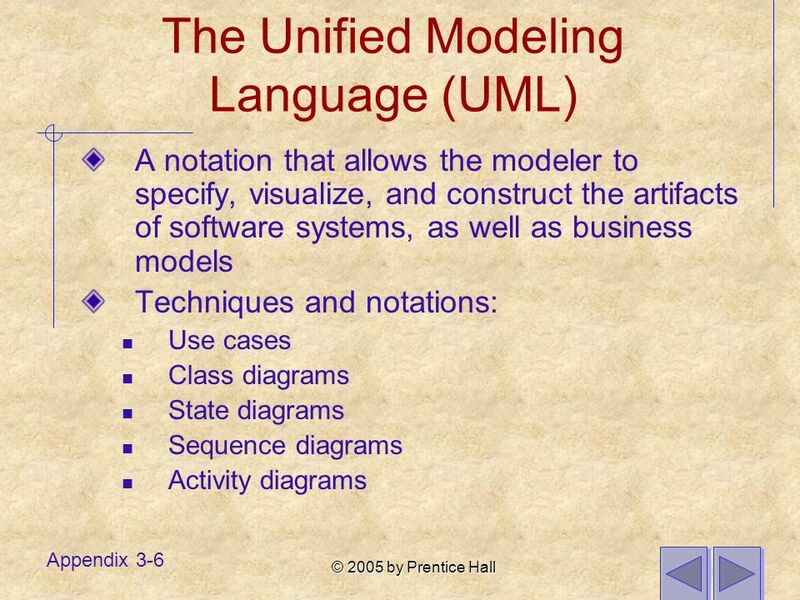 Model real-world applications with UML. 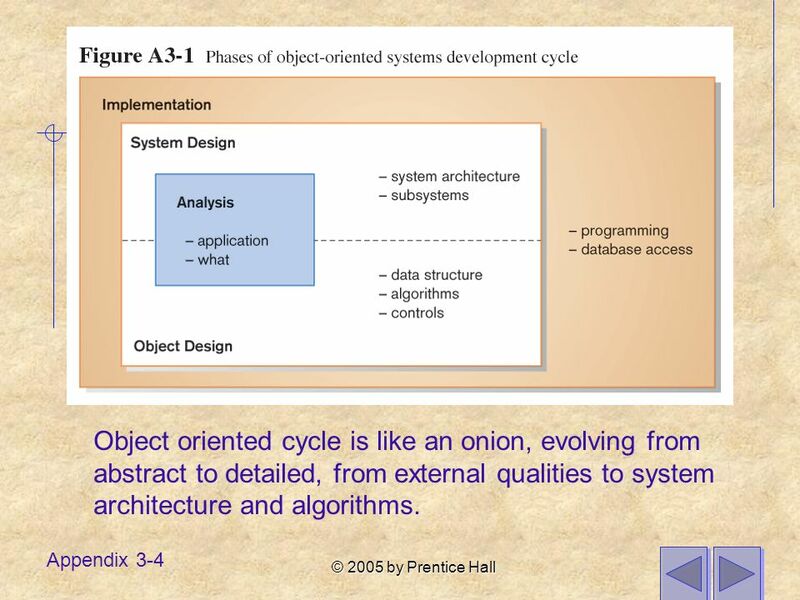 4 © 2005 by Prentice Hall Appendix 3-4 Object oriented cycle is like an onion, evolving from abstract to detailed, from external qualities to system architecture and algorithms. 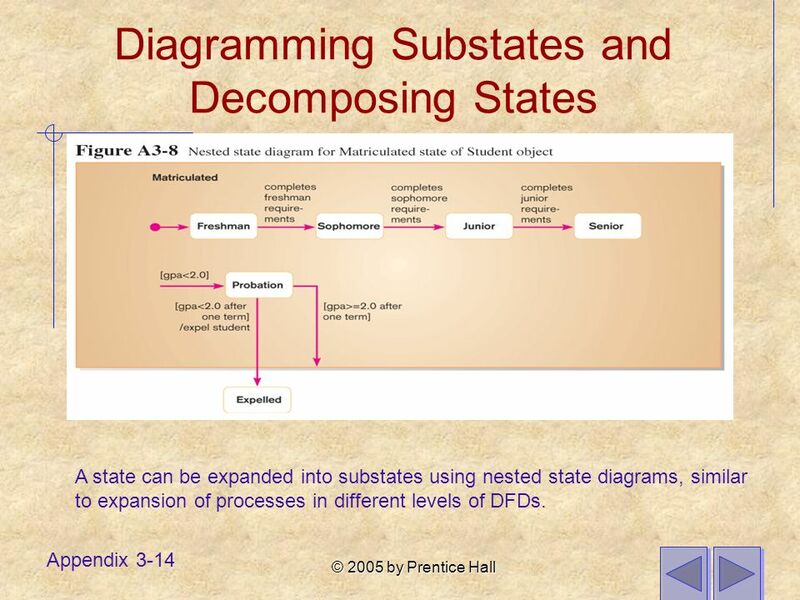 14 © 2005 by Prentice Hall Appendix 3-14 Diagramming Substates and Decomposing States A state can be expanded into substates using nested state diagrams, similar to expansion of processes in different levels of DFDs. 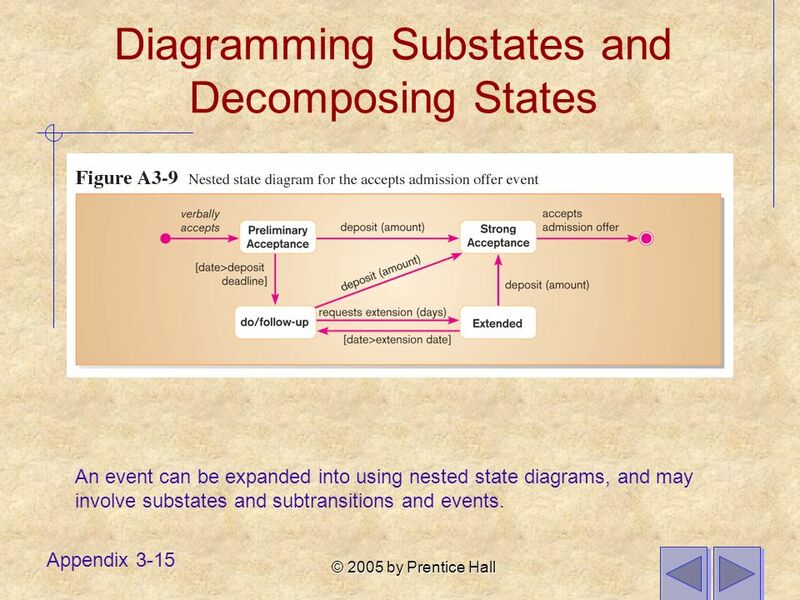 15 © 2005 by Prentice Hall Appendix 3-15 Diagramming Substates and Decomposing States An event can be expanded into using nested state diagrams, and may involve substates and subtransitions and events. 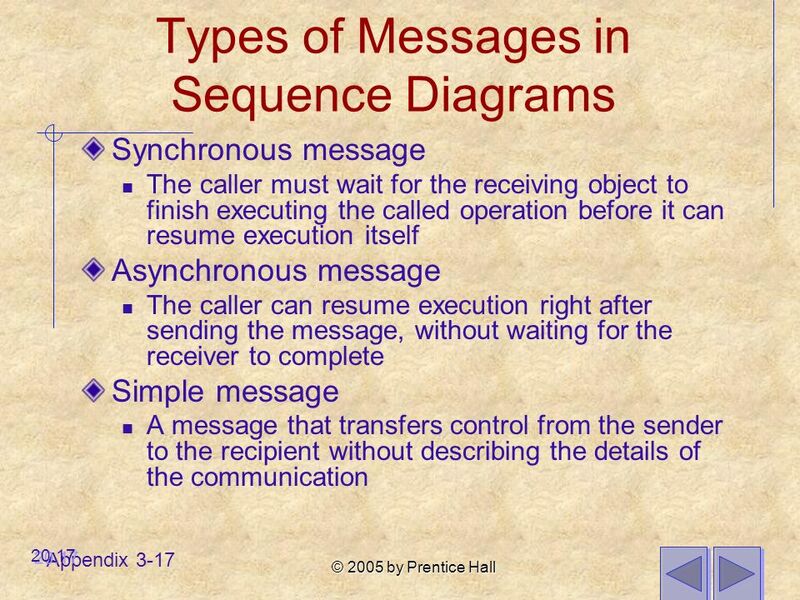 24 © 2005 by Prentice Hall Appendix 3-24 Summary In this chapter you learned how to: Define events, state transitions, and sequence diagrams. 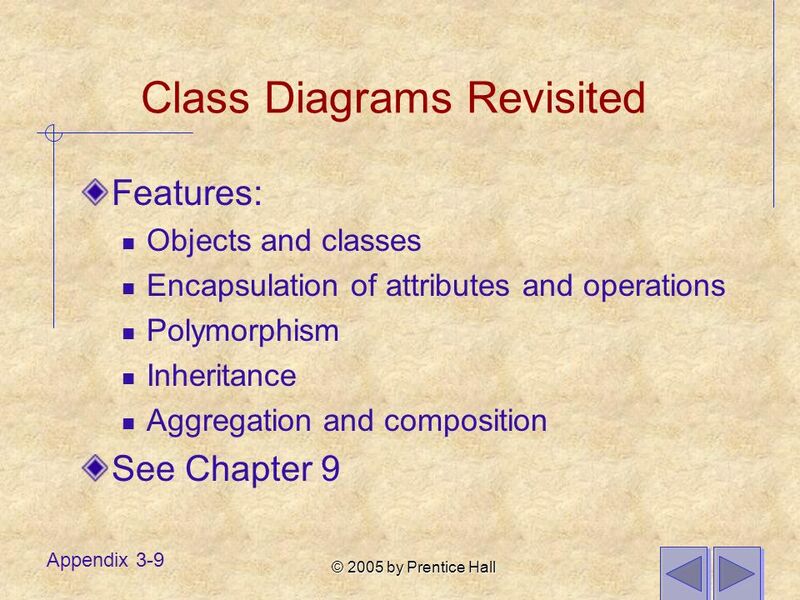 Describe concepts and principles of object- orientation. 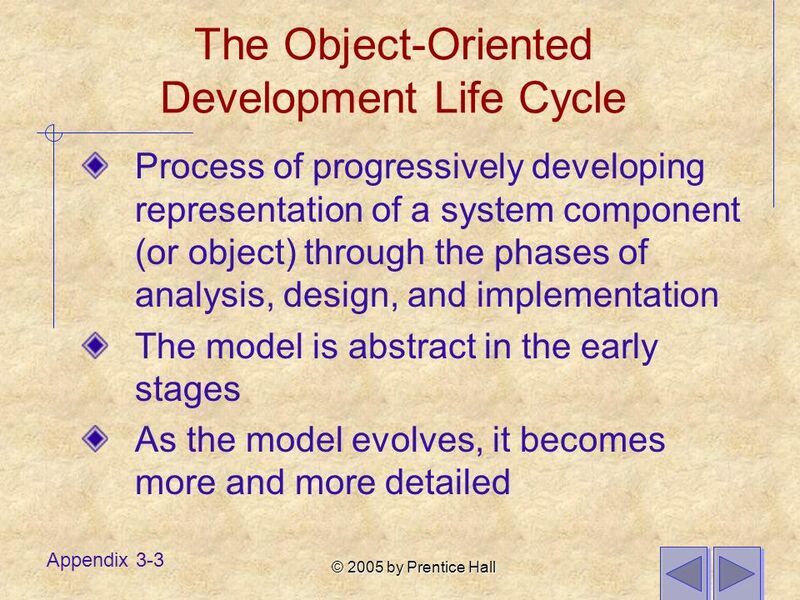 Describe activities of the different phases of object- oriented development. 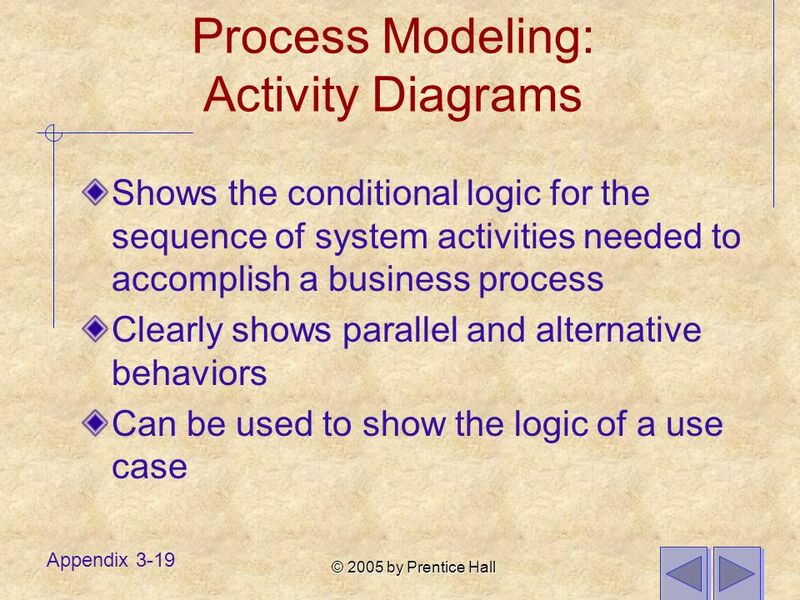 Compare object-oriented modeling with traditional systems development approaches. 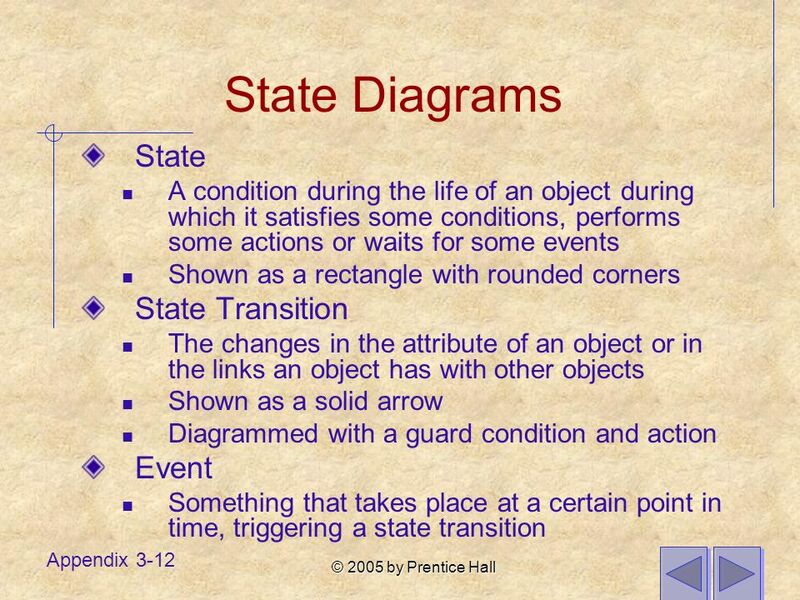 Develop dynamic models with state, interaction, and activity diagrams. 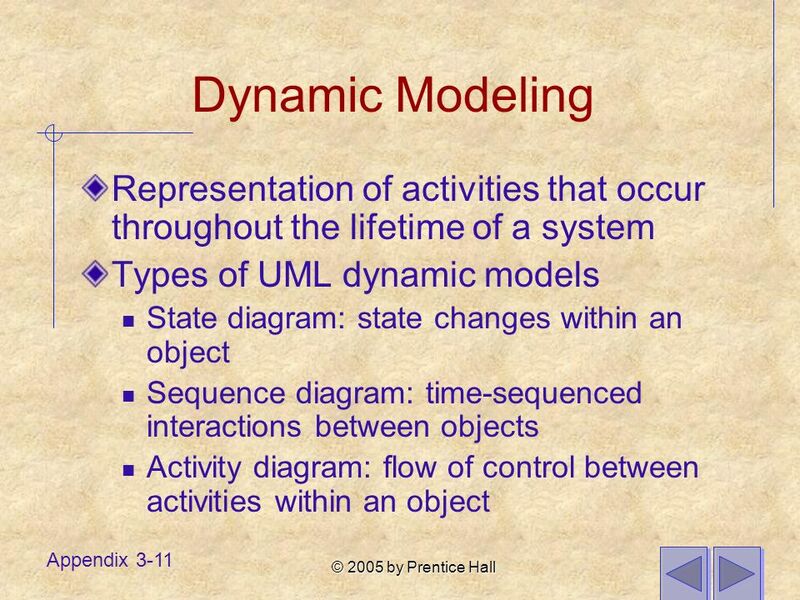 Model real-world applications with UML. 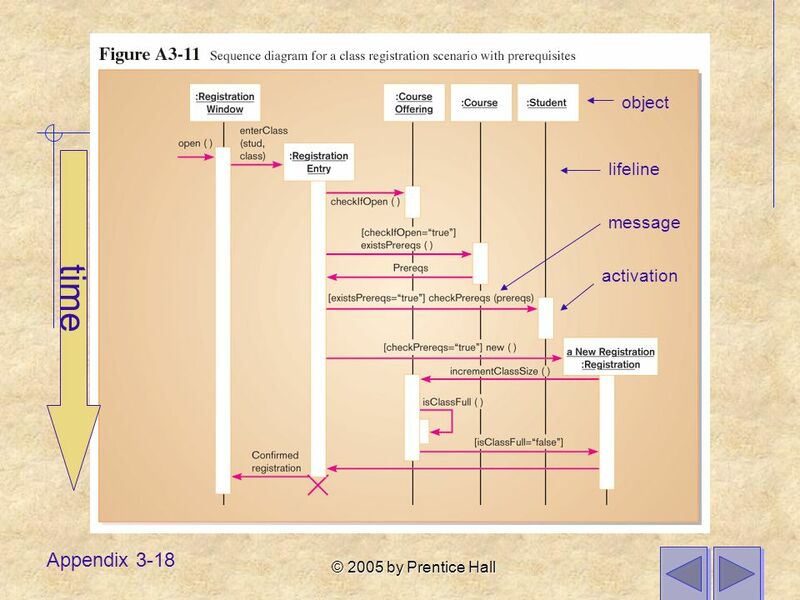 Download ppt "© 2005 by Prentice Hall Appendix 3 Object-Oriented Analysis and Design Modern Systems Analysis and Design Fourth Edition Jeffrey A. Hoffer Joey F. George." 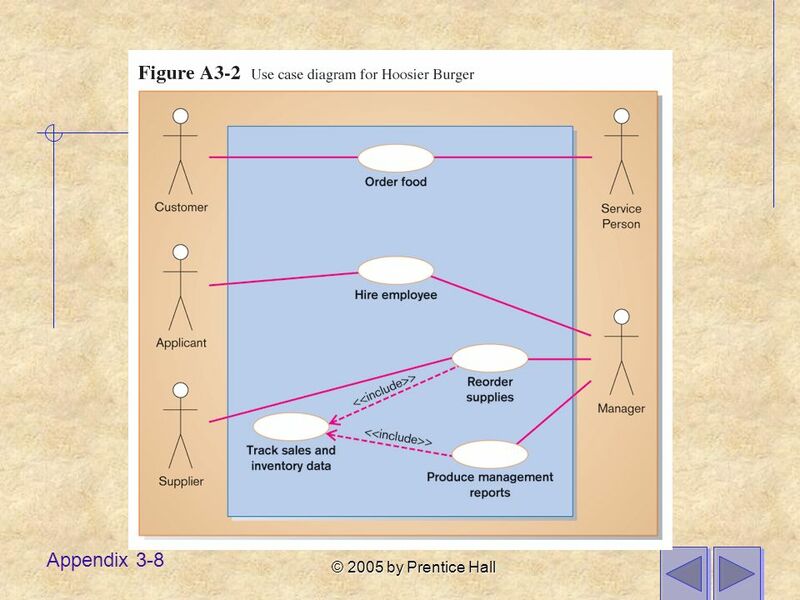 © 2005 by Prentice Hall Chapter 13 Finalizing Design Specifications Modern Systems Analysis and Design Fourth Edition Jeffrey A. Hoffer Joey F. George. 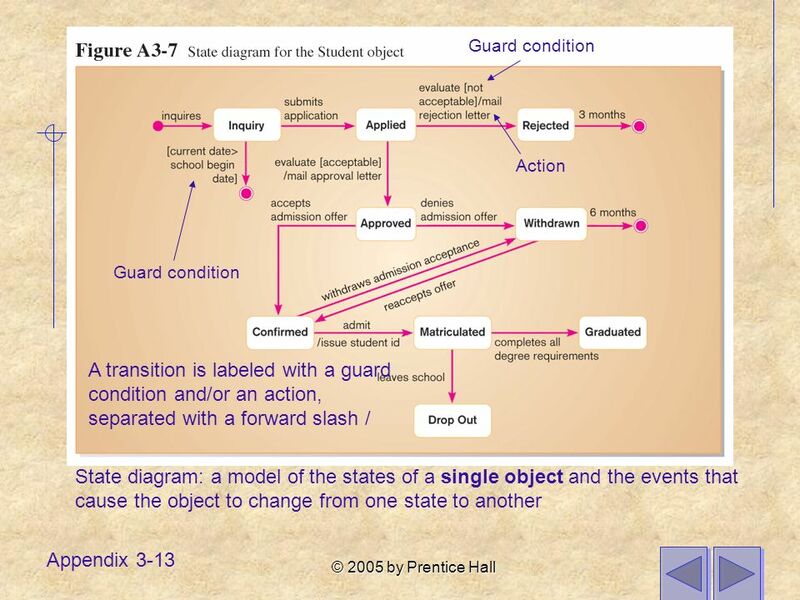 GRADUATION PROJECT-1 SEMINAR- 2: Phases and Project 1 Guide Academic Year: / Semester I. 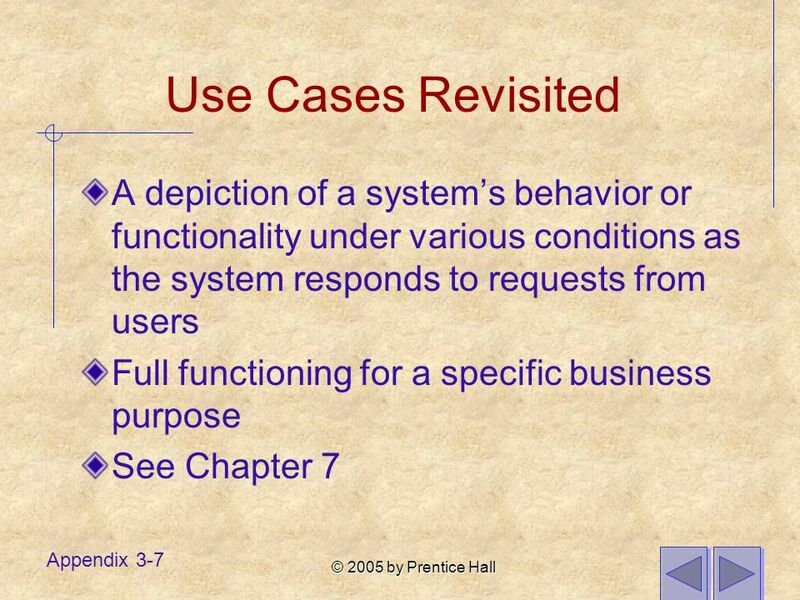 14-1 © Prentice Hall, 2004 Chapter 14: OOSAD Implementation and Operation (Adapted) Object-Oriented Systems Analysis and Design Joey F. George, Dinesh. Modeling Main issues: What do we want to build How do we write this down. 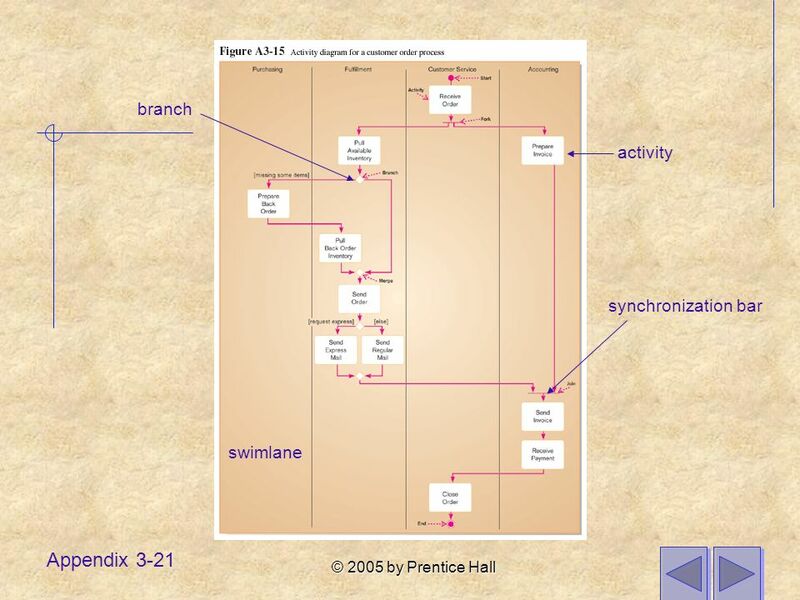 UML (Sequence Diagrams, Collaboration and State Chart Diagrams) Presentation By - SANDEEP REDDY CHEEDEPUDI (Student No: ) - VISHNU CHANDRADAS (Student. 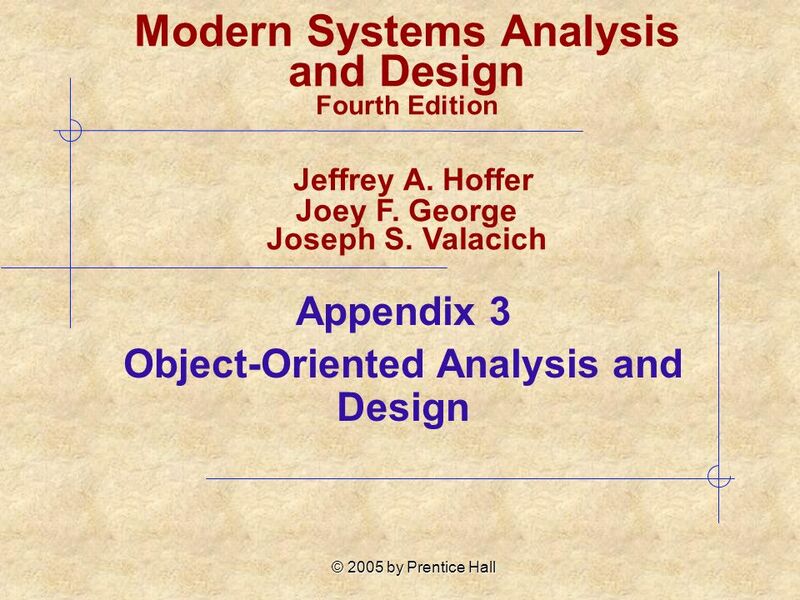 Appendix Object-Oriented Analysis and Design: Use Cases Modern Systems Analysis and Design Fifth Edition Jeffrey A. Hoffer Joey F. George Joseph S. Valacich. 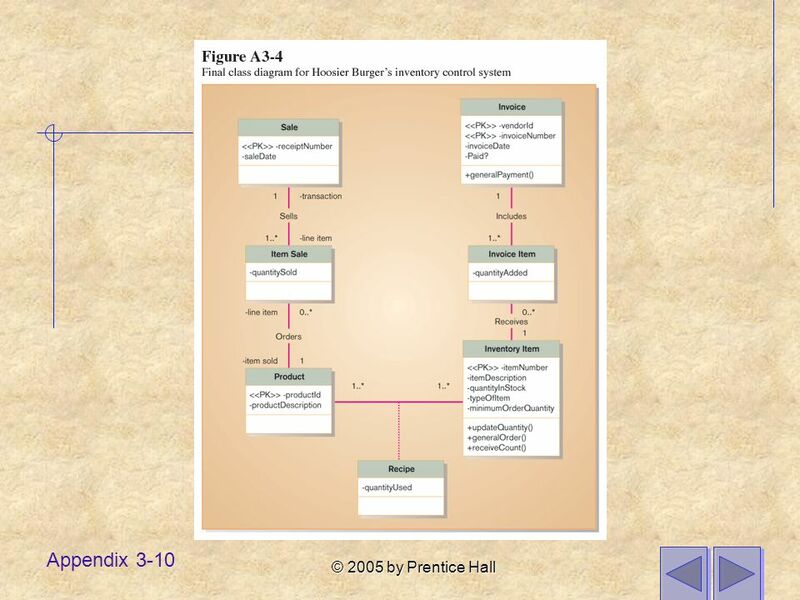 Copyright © 2012 Pearson Education, Inc. Publishing as Prentice Hall A.1.